VeeV Spirits has always had a friendly and personal voice, and a part of their success is that they speak directly to their fans and make them feel special. 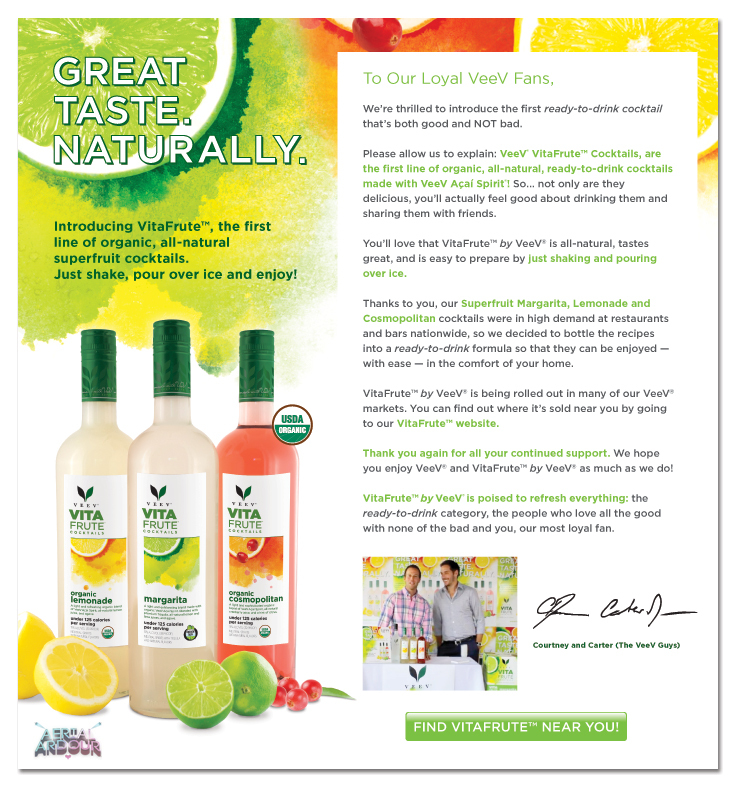 VeeV had already made VitaFrute's launch Facebook and Twitter officlal, but they also made sure to let their fans in on the big news by sending them a newsletter with a letter, written by VeeV Spirits founders, "The VeeV Guys," brothers Courtney and Carter Reum. We played with the idea of choosing a font with a handwritten feel to further the personal feel, but ultimately, we thought it was best to preserve the brand font in order to maintain the premium feel of the brand.